Add light to work areas, counter tops and more with this LED puck light. This kit includes one nickel finish, high-performance, line voltage LED puck light and one six-foot black power cord with roller switch for plug-in operation. 4.3 watt puck has a light output exceeding 200 lumens, more than two times brighter than a Xenon or halogen puck, and uses nearly five times less power than a comparable 20 watt incandescent puck. Swivels 30-degrees forward and back and is dimmable to 10 percent with most CFL/LED and low voltage electronic dimmers. Puck light is 2.75" wide x 2.75" deep x 1" high. Power cord - 6' long, 0.75" deep, 0.75" high. 4.3 watt power consumption per puck, nearly 5 times less than an equivalent 20 watt incandescent puck. 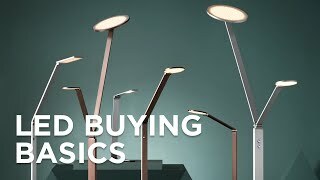 Light output is 200 lumens per puck; more than twice as bright as a Xenon or halogen puck. Warm white 2700K light with a CRI of 90 mimics incandescent. Dimmable to 10 percent with most CFL/LED and low voltage electronic dimmers. Nickel finish housing and black power cord. Zinc alloy housing with aluminum heat sink. Included power cord allows plug-in control; wall switch hardwire box sold separately. Easy recess or surface-mount snap-fit installation with no driver needed. Swivels 30-degrees forward and backward along axis of power leads. Polycarbonate diffuser lens for even distribution of light. Up to 20 pucks can be linked to a single power supply. 1" high-performance LED puck light and 1 six-foot power cord with roller switch. 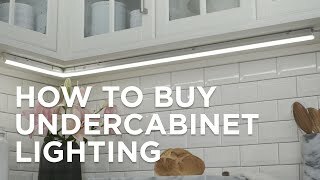 I need recessed 12v under cabinet lights to retrofit 1 3/4” holes. Chrome or stainless. Do you have? I make custom stainless steel kitchen hoods, and used this in the hood...it was perfect. The nickel finish trim of this 7.5 watt complete LED recessed lighting kit is complemented by a remodel housing for easy installation. This slim LED under cabinet light can be customized to fit your space perfectly. A modular linkable 2-piece LED under cabinet kit with a driver and tube. Add LED lighting beneath a cabinet with this complete kit that includes a plug-in power cord and one white finish puck light.